Just over a week after Japan evacuated 36,000 from powerful Typhoon Jongdari as it smashed into the South East of the island and only weeks after more than 300 died along with 40,000 hospitalised from floods a heatwave and landslides another powerful typhoon is taking aim and expecting to make landfall Thursday morning. 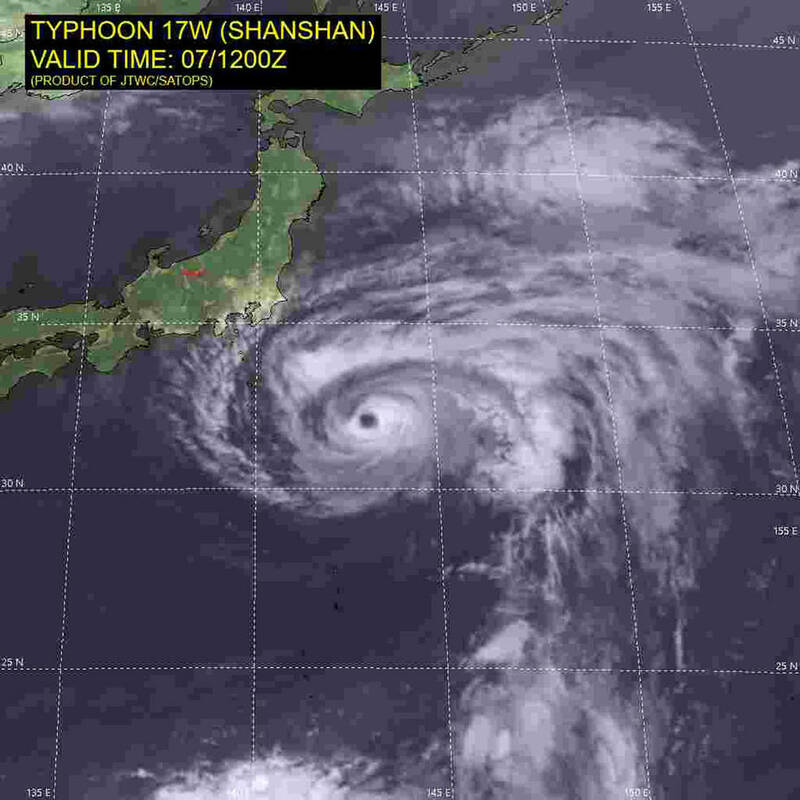 Typhoon Shanshan was expected to be less than 150 kilometres (90 miles) from Tokyo around midnight on Wednesday (1500 GMT), sparking fears the busy morning commute in the capital could be disrupted the following day. According to AFP, the typhoon is coming "very close to the Pacific coast" of eastern Japan, centring on Tokyo, and is expected to move towards northern provinces from late Wednesday and early Thursday, the meteorological agency said. "There are also risks that it may make landfall," it said, warning it could dump 350 millimetres (13.7 inches) of rain over the greater Tokyo region over the 24 hours by Thursday noon.